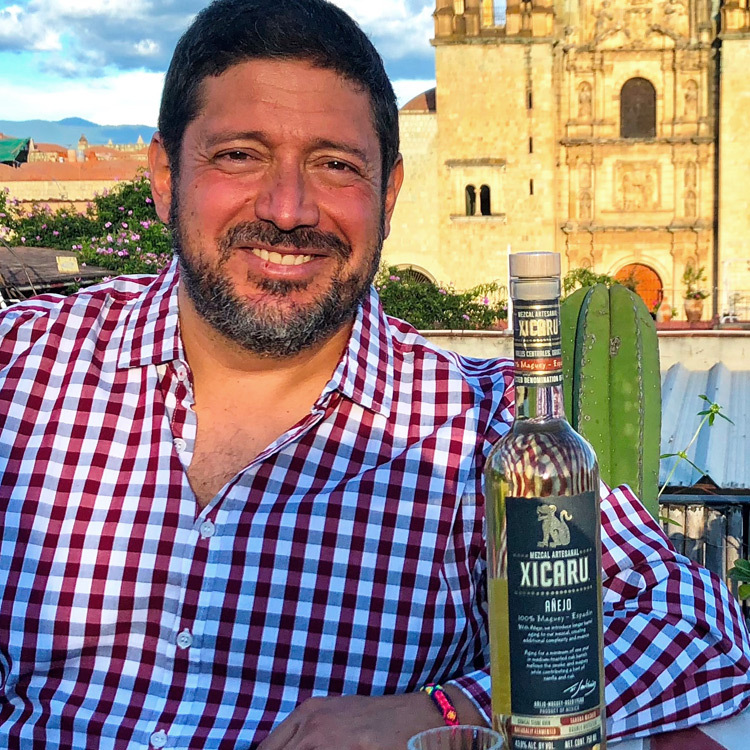 Using his 30 years of experience in distilling, aging and blending premium spirits, Fernando Santibañez respectfully combines the traditions of mezcal with those of barrel aging to create a unique expression of Xicaru. 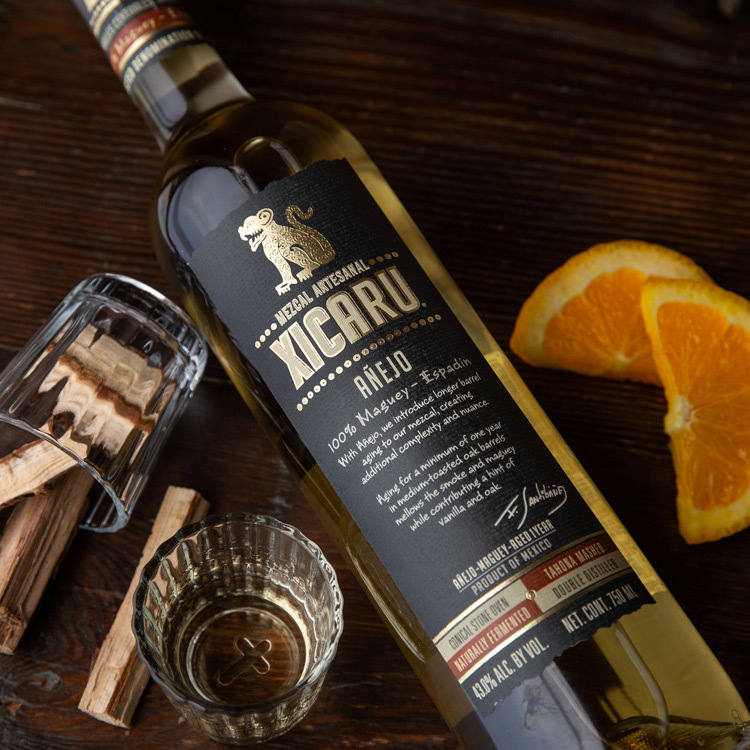 Xicaru Añejo is made with traditional methods from 100% Maguey espadin. It rests for a minimum of one year in medium-toasted, used American oak barrels and is finished to 86 proof. Used barrels are employed to prevent over-aging, and the higher proof helps to maintain the essential characteristics of mezcal. 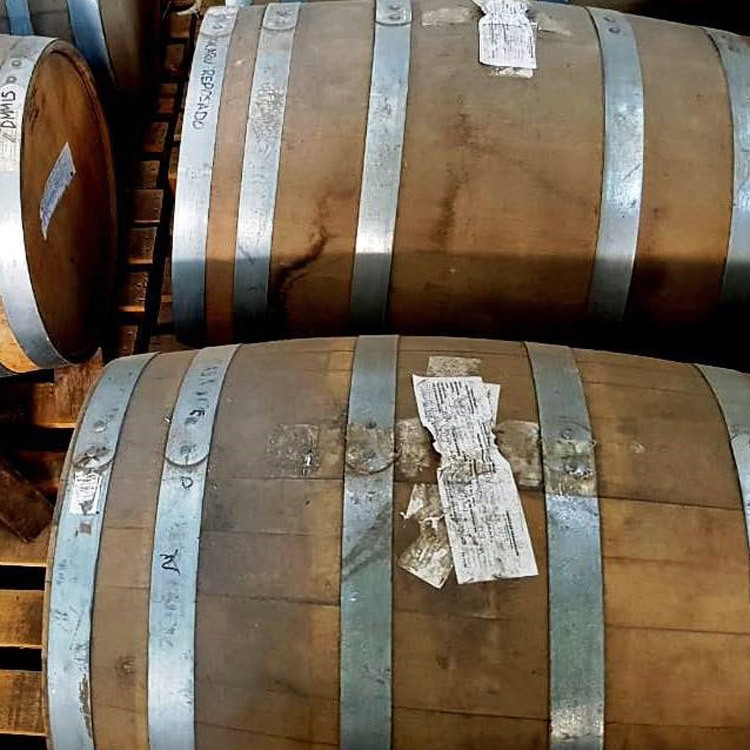 The patience required for barrel aging is rewarded with a fuller, more concentrated and complex mezcal. Notes of vanilla and oak contribute a new aroma, flavor and sweetness that delicately balance with the smoke and maguey. 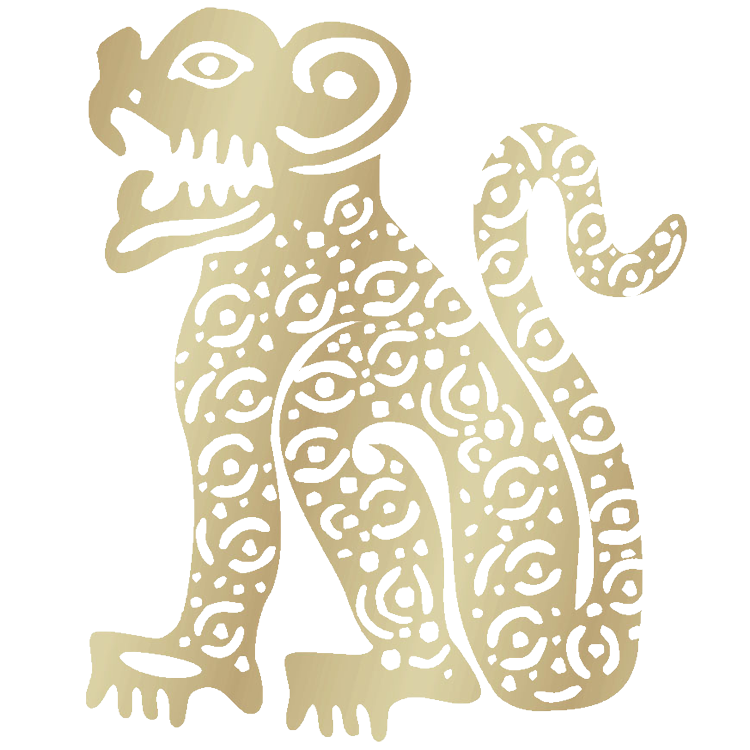 The jaguars representing Xicaru reflect the characteristics of each type of mezcal. For Xicaru Silver, the jaguar is active, whereas in Reposado he is resting. His breath of fire on Xicaru 102° indicates higher proof. The serene jaguar representing Xicaru Añejo is composed – without need to prove anything to anyone, he is confident in his wisdom and strength.